When contemplating the importance of good public policy, we can learn a lot from bad examples. Why did the Soviet Empire collapse? Why are Cuba and North Korea so poor? Why is Venezuela falling apart? The answer, in no small part, is that economies suffer immensely when politicians don’t allow markets to function. An unfettered price system plays an enormously important role in allocating capital and labor to their most-valued uses (based on the preferences of consumers). With central planning, by contrast, capital and labor are allocated based on the preferences of politicians and bureaucrats. And even if you assume those officials have good motives, there’s no way they can replicate the efficiency of private markets. Capitalism is amazing because, in a system based on voluntary exchange, people can only make themselves richer by serving the needs of others. Consider, for instance, this excellent new video on the market for bread. We should all be profoundly appreciative of how the invisible hand of free enterprise produces such amazing results. The good news is that we don’t have central planning in the United States. As such, we’re not in any danger of complete economic breakdown because of government intervention (our long-run danger is instead the result of a metastasizing welfare state). But the bad news is that we have sectors of our economy where government intervention prevents the efficient operation of the price system. And we have other sectors where government intervention causes considerable inefficiency. And keep in mind that almost all intervention is not the result of well-meaning but misguided decisions. It is driven by various interest groups scheming with politicians to manipulate the system in order to obtain unearned wealth. 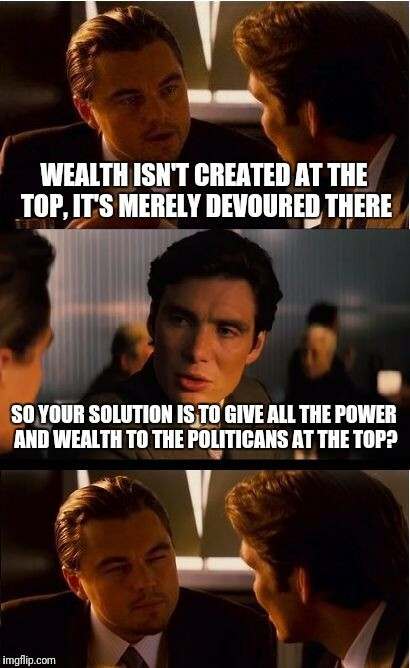 Which is why it doesn’t make any sense to give politicians more power to solve supposed problems. Especially when the problems are probably the result of government intervention in the first place. It’s like rewarding an arsonist for starting fires (also see this poster or the image at the bottom of this column). But let’s not dwell on the negative. 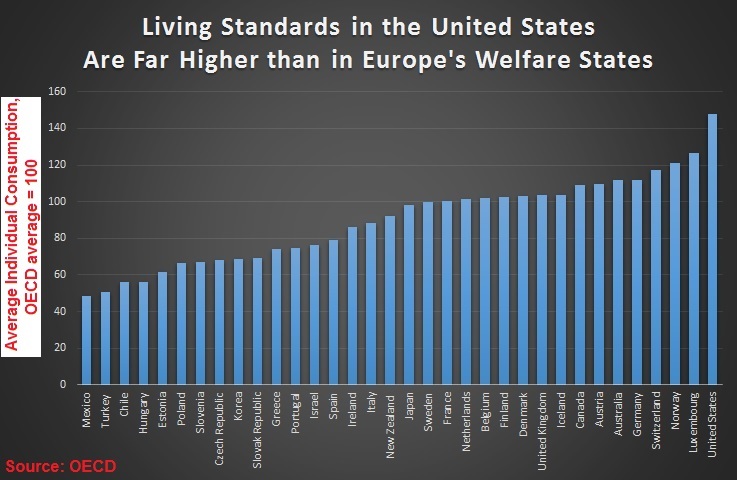 The good news is that America ranks relatively high according to some important measures. There’s not much economy-wide business regulation, at least compared to most other nations. And we also don’t have much “employment-protection” legislation, which means American workers are much more likely to have jobs. And less regulation is an important ingredient in the recipe for growth and prosperity. And nations that do a better job of following that recipe get to enjoy higher living standards, so we are fortunate not to have made as many policy mistakes as other countries. P.S. Since bread played a starring role in today’s video, it’s worth remembering what it taught us about antitrust laws in The Incredible Bread Machine.